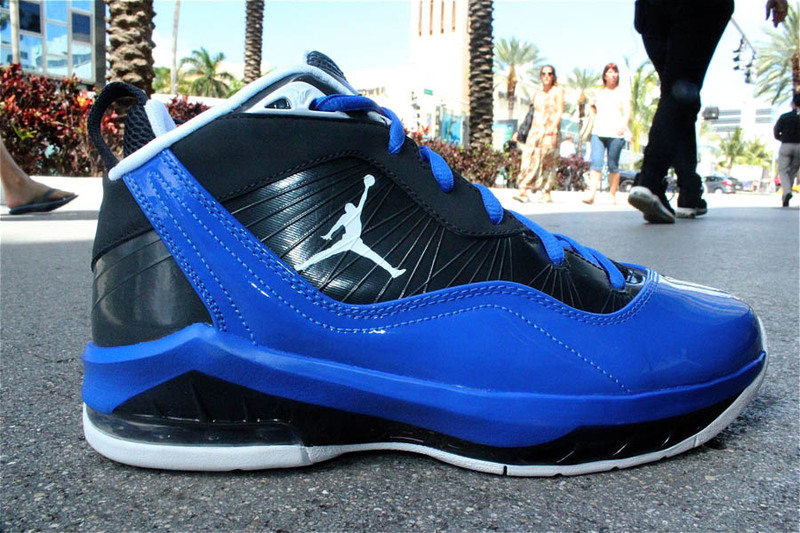 Carmelo Anthony's playoff run will likely be over tomorrow, but you'll still be given the opportunity to pick up some of the Jordan Melo M8 colorways he's wearing this postseason. Carmelo Anthony's playoff run will likely be over tomorrow, but you'll still be given the opportunity to pick up some of the Jordan Melo M8 colorways he's wearing this postseason. 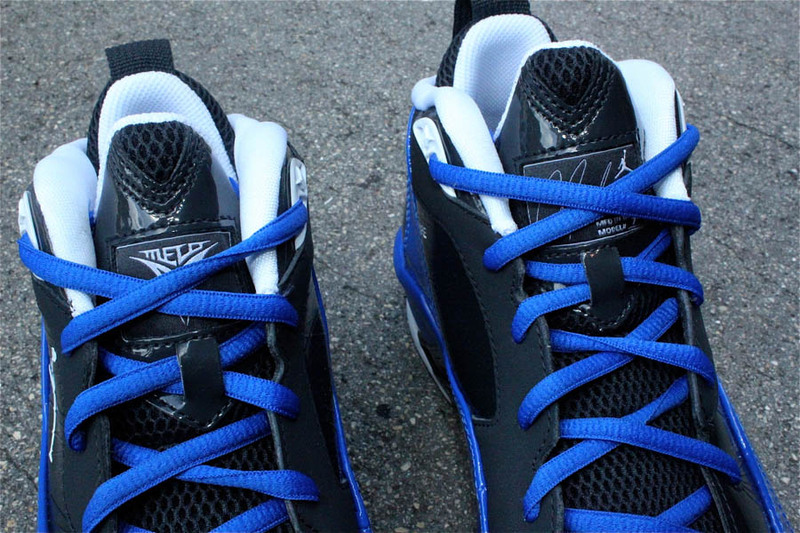 This Playoff M8 features an anthracite synthetic and nubuck base, complemented by a royal blue patent leather overlay. Black fills in the pull-tab and midsole, while white works the inner lining, various branding points and outsole to complete the look. 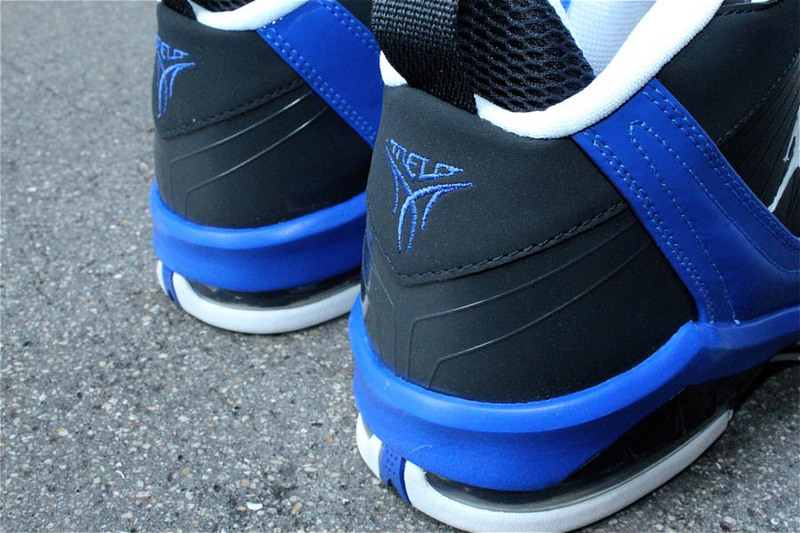 The Playoff Melo M8 will be available to purchase at Jordan retailers like Mr. R Sports on Wednesday, May 9. 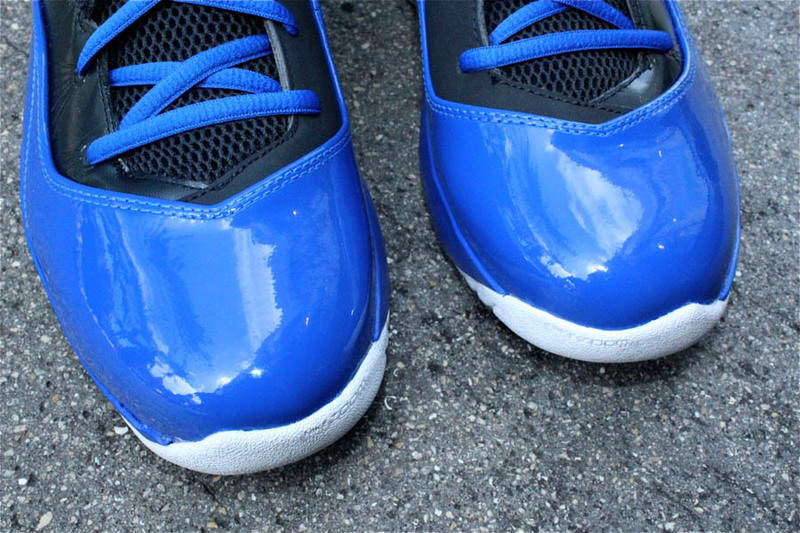 Retail will be $135.